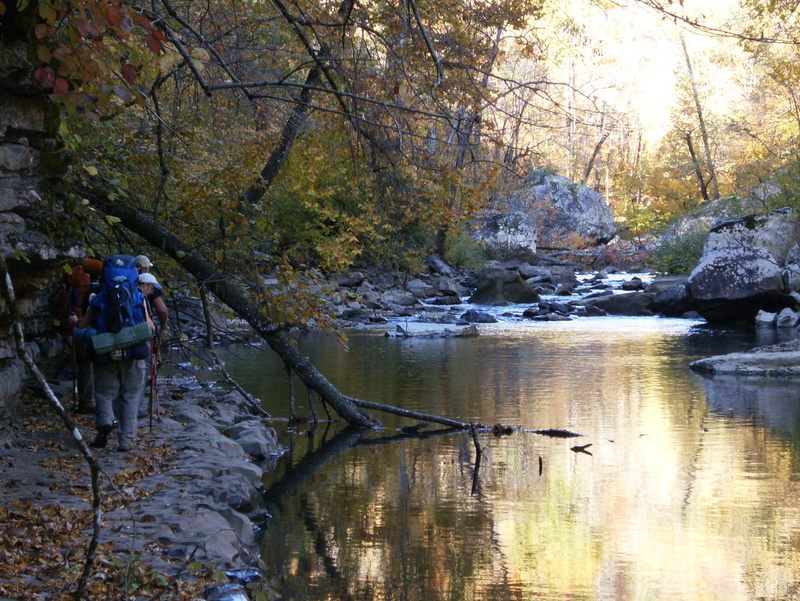 The local Sierra Club group had a weekend outing in the Richland Creek Wilderness. 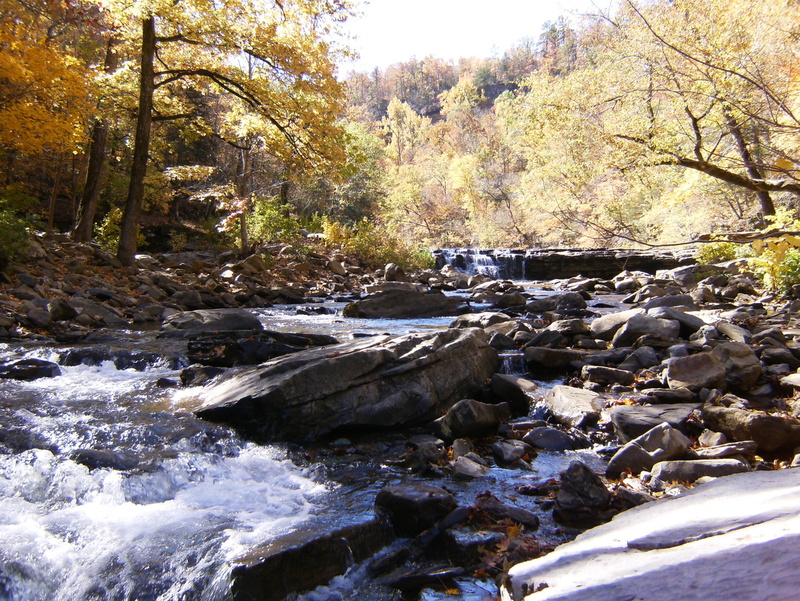 Rugged landscape, autumn colors, waterfalls – it was all there. 7 other people and 2 dogs participated. 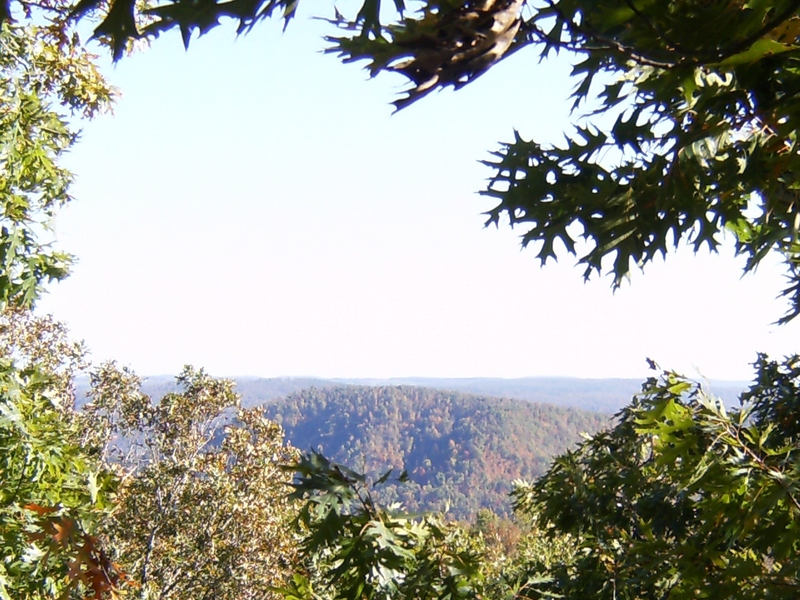 One of the notable features of this 11800 acre site is that there are no official trails. 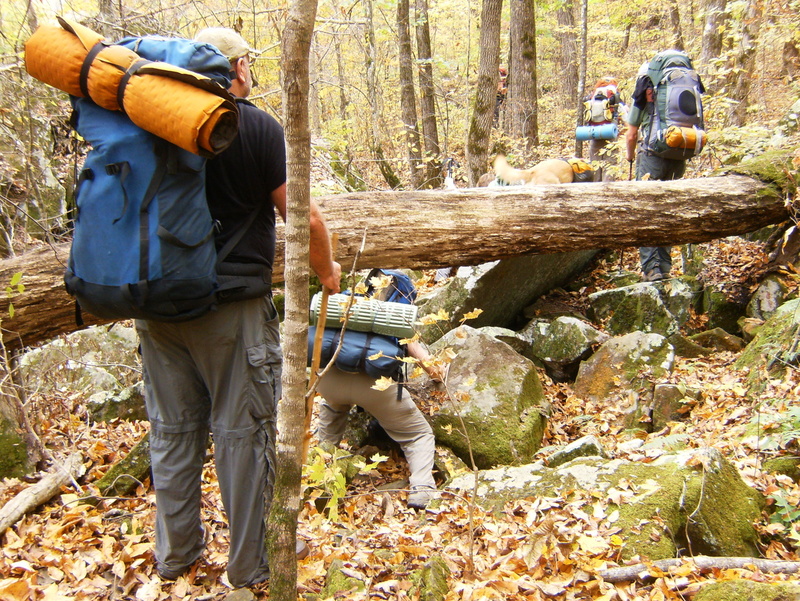 In practice, there have been enough people hiking to some of the well-known features over the years to leave some pretty visible trails. I thought the remoteness of this area would deter visitors but I saw more here than I’ve seen on any other trip – 10 or 12 groups of 2 to 6 people. We intended to camp near Richland Falls both nights but didn’t make it that far Friday evening before running out of daylight so we made do with a wide spot along the trail that had a bit too much slope to be comfortable. Saturday morning we packed and made our way to the falls and set up camp again. 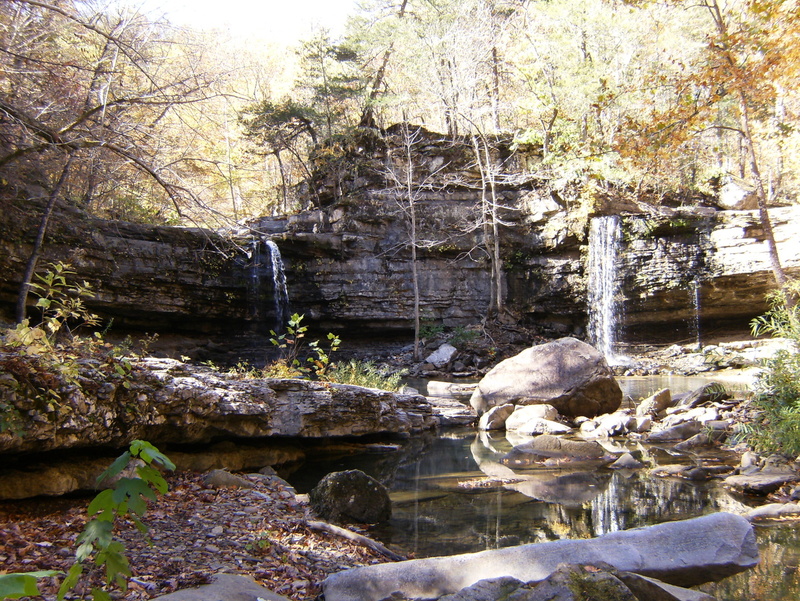 After replenishing our water supply below the falls we hiked the short distance to Twin Falls. We ate lunch there and relaxed for a while before heading to the “sand castles” – a long and sometimes steep climb with no trail. This was a neat area with overhangs, pillars, and caves eroded into the sandstone. 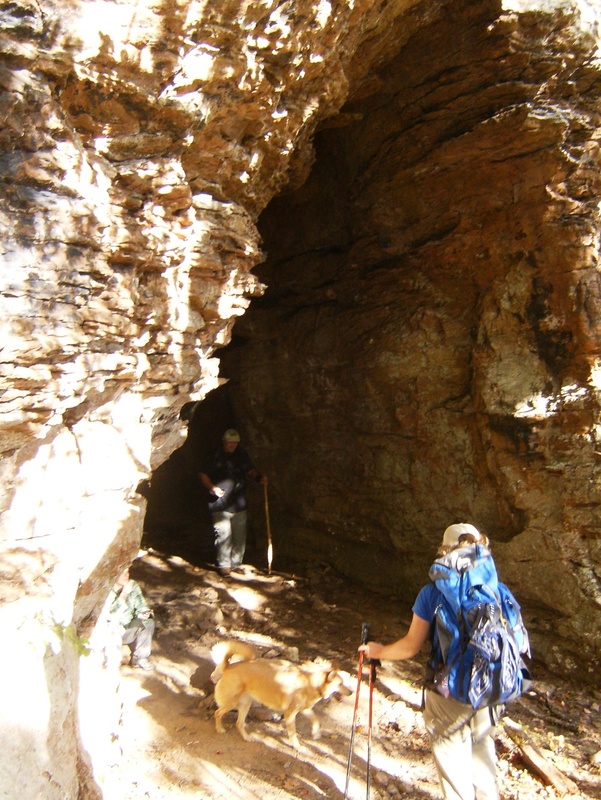 Several of the shallow and tall caves have been used for camping, ruining the natural beauty. Daylight was fading so we headed back to camp. Sunday morning we packed-up and hiked-out. Everyone else headed home but for me it was just the first part of a 10-day trip in NW Arkansas. 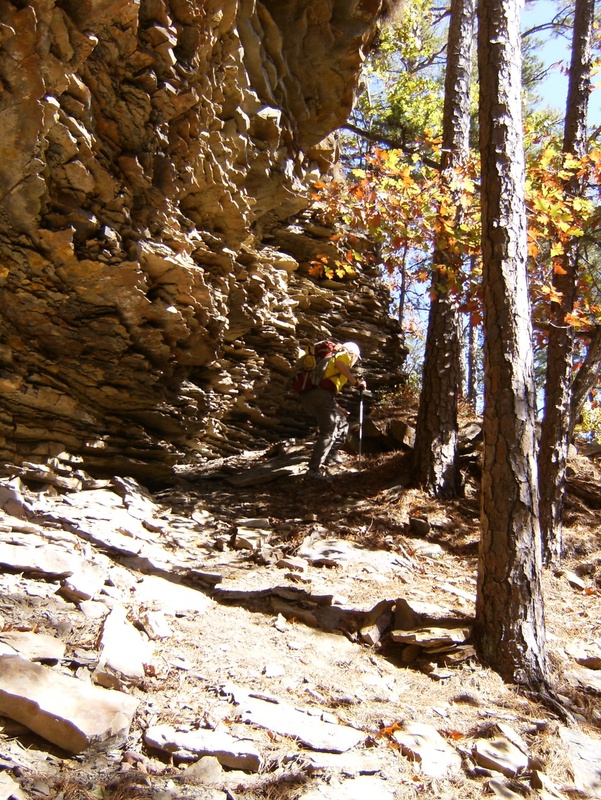 The rest of the time was spent in the upper Buffalo River area doing trail maintenance and hiking. I’ll have a lot more to say about that as soon as I catch-up on some other things. Crossing Richland Creek. 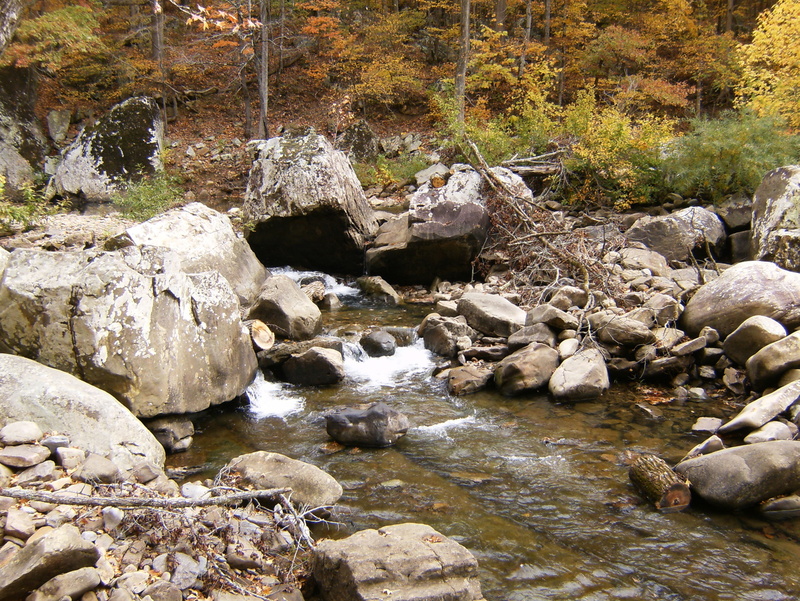 It wasn’t much more than mid-calf deep – if you were careful where you stepped! Twin Falls. 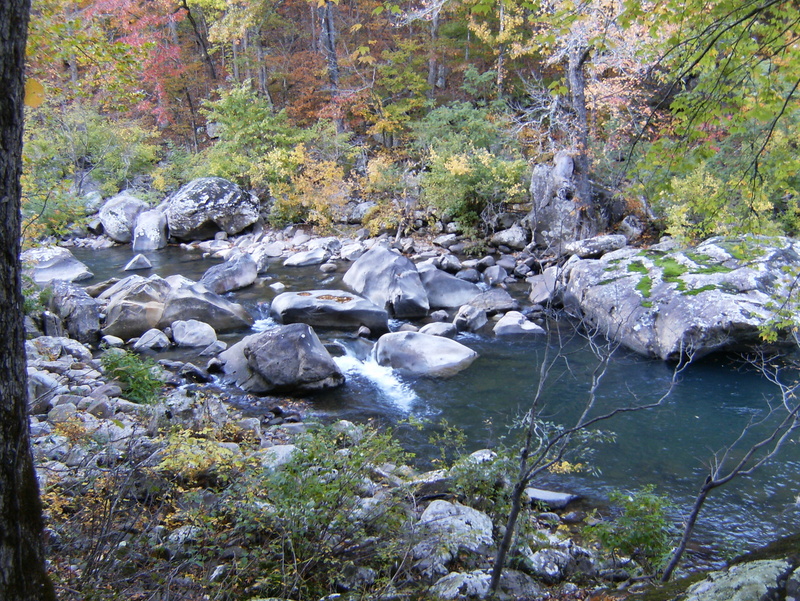 Long Devil’s Fork flows from the left and Big Devil’s Fork from the right. The erosion of this sandstone ledge created some interesting textures. One of the many small caves in the “sand castles” area.